As fairytail-ish as it sounds, Diana Atenco knew one of her life’s callings was tobecome a Toe Reader. She just loved the opportunity to sit with people, listen to the stories of their lives, often pray with them, and always have the opportunity to help them make new choices about how they would step forward powerfully into the world. 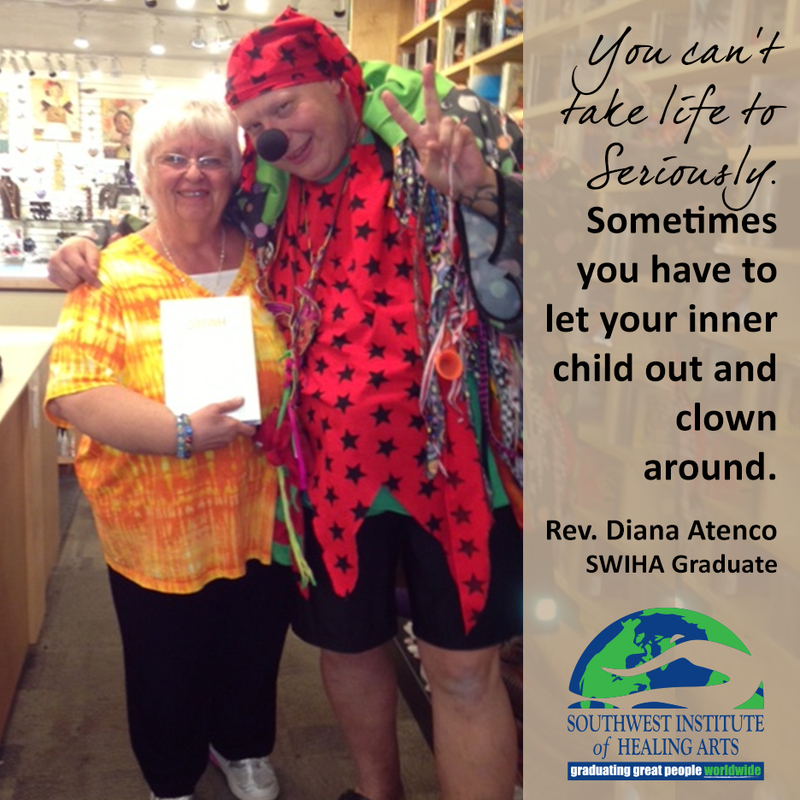 Diana completed a series of classes at Southwest Institute of Healing Arts (SWIHA) starting in 2007 and became a Registered Toe Reader. From the very first class she realized she had a gift; without ever fully understanding how she knew even more than what the toe tissue revealed, she was aware that Spirit was using her as a messenger to people of all ages. Before long she knew she needed to deepen the way she was serving her clients, so she returned to SWIHA to take the Hypnotherapy and Life Coaching programs. 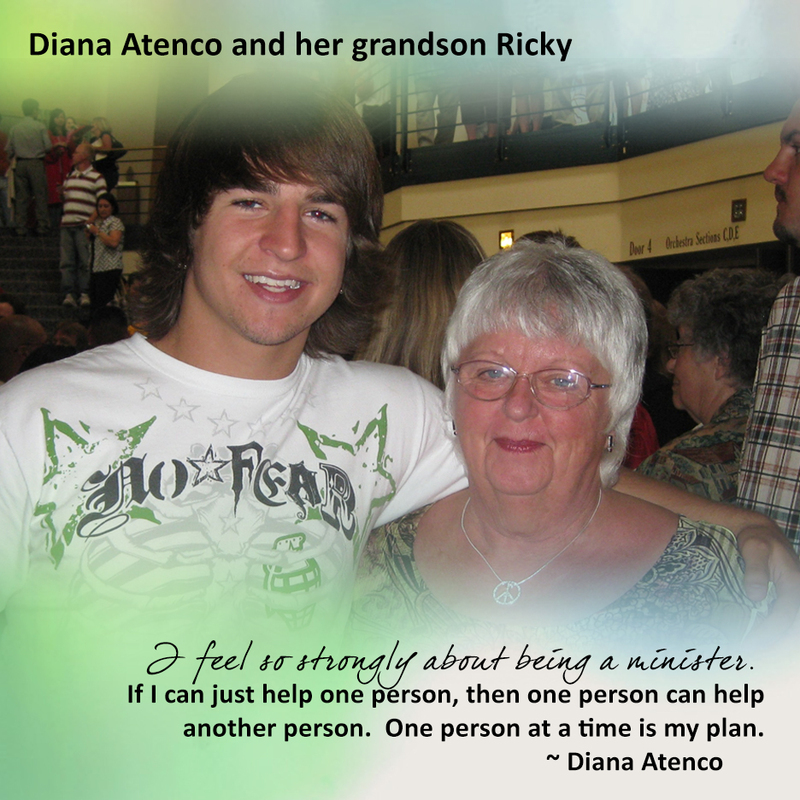 Around the time Diana began her journey at SWIHA, her then teenage grandson horribly injured himself in a motocross accident. He became seriously dependent on prescription pain mediation, which developed into an addiction to heroin. For years Diana suffered as she watched her beloved grandson slowly fade into the dark depths of drug addiction. She started to think that she had failed her grandson, and didn’t know what she could possibly do to help him. Time passed, and Diana returned to SWIHA again in 2013, this time enrolling in the Spiritual Studies program. It was at this point in her life where she felt like she was at rock bottom; the years spent trying to help her grandson proved futile. There came a time in Diana’s Spiritual Studies program where she could choose the option of being ordained as a minister. Due to her experience with her grandson and her countless unsuccessful attempts to help him, she felt as if she wasn’t a good candidate to be ordained. She was spiritually broken. However, there was a tiny voice within that would not be silenced! Once again Diana was being called to do something outside her comfort zone. Becoming an Ordained Minister was a HUGE turning point in Diana’s life. She thought she had come back to SWIHA to take the Spiritual Studies program to heal herself, and ended up learning how to help heal others in the process. Diana’s journey took her from the halls of SWIHA to the neighborhoods of Fountain Hills, where she quickly learned there were many families who were experiencing the same struggle she had gone through with her grandson. She realized she was needed as a source of support and strength for these families, and she began to share her story. Everything she had gone through had perfectly prepared her to serve those right in her very own neighborhood. 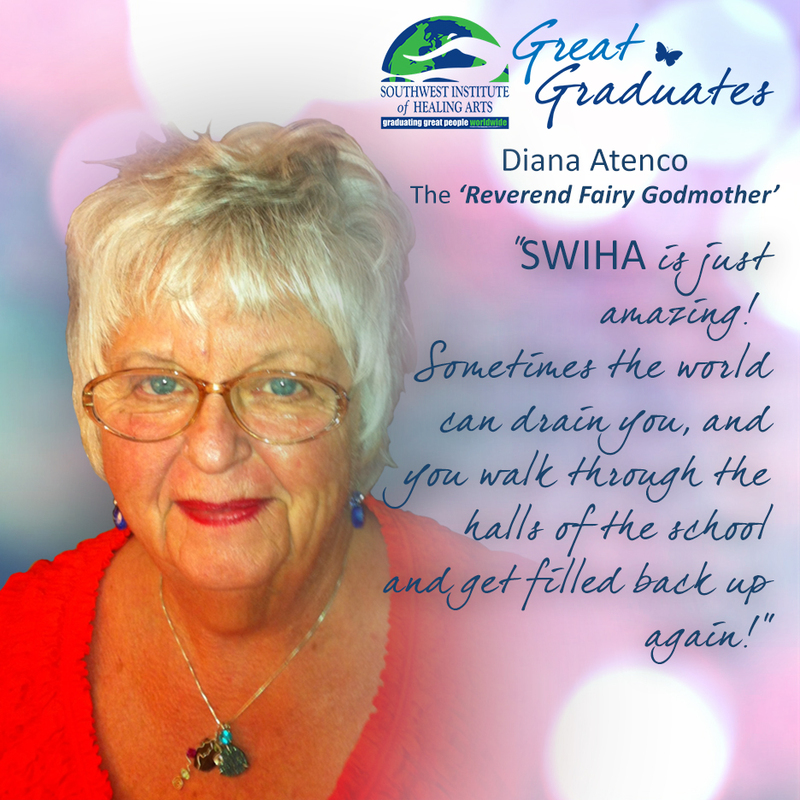 Diana refers to herself as the ‘Reverend Fairy Godmother’, a name that has stuck within her community. With the support of the Fountain Hills Sherriff’s Department, the Fire Department and the local paper, the Reverend Fairy Godmother sprinkles sparks of hope and support throughout Fountain Hills and surrounding communities. She is also working to create a local support group to help families of addicts. “The editor of the newspaper here in Fountain Hills, the sheriff’s department and the fire department have all been supportive of me wanting to do a Support Group for drug addiction and their families,” she says. While the Reverend Fairy Godmother is busy spreading love and help, she still remembers where she began. She is very appreciative to SWIHA and how the school has helped her find multiple callings in life and created spiritual transformation within her.